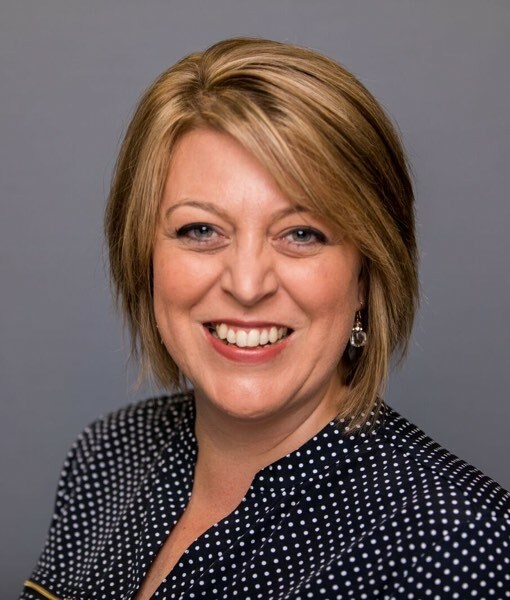 Looking for your next Block of the Month program? I have a great solution for you! 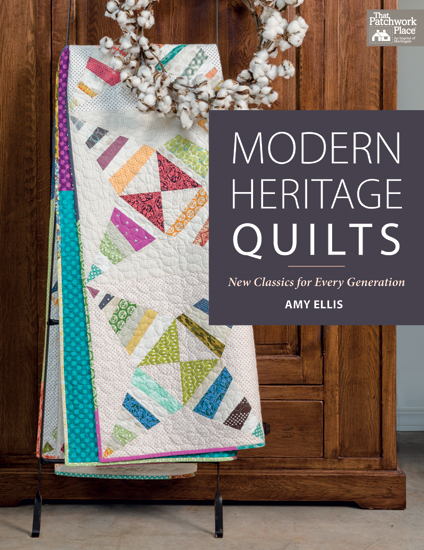 My latest book Modern Heritage Quilts is all about traditional blocks in updated fabrics and settings. 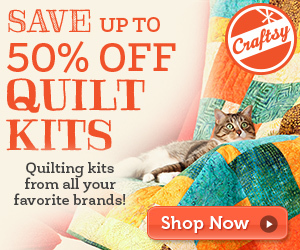 There’s 12 patterns included that offer a bit of a twist on tradition and hopefully inspire your shoppers to try something new in their quilts. I included a little box for each project so that the quilter can make one block at a time, to try it out or make it from their scrap bin. I like to have room to be creative with different blocks and wanted that to be available to my readers as well. The One At A Time box allows me to also pull the coordinating blocks out to make a fun sampler too. 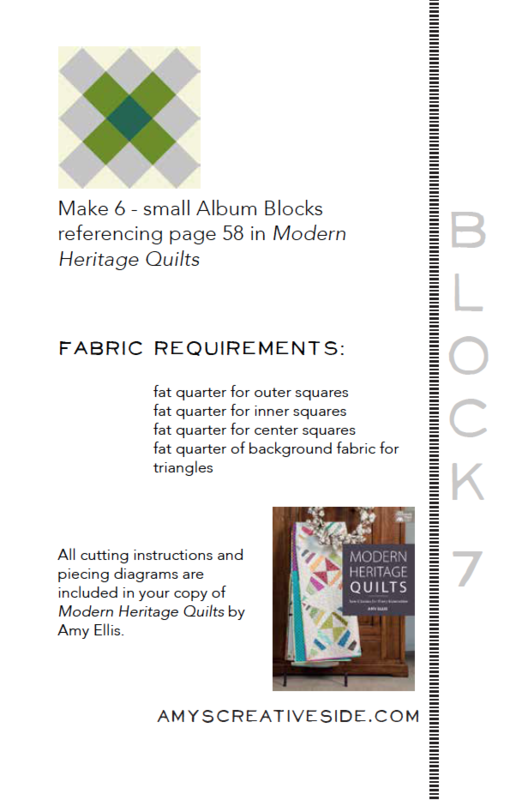 You’ll notice that the blocks are simple enough for a beginner quilter to take on, and also traditional, which means the look is entirely up to you or your shoppers as you pull fabrics to go into the project. Of course I love the saturated tones, but if your shoppers prefer batiks, or reproduction fabrics either would look great in the final quilt! 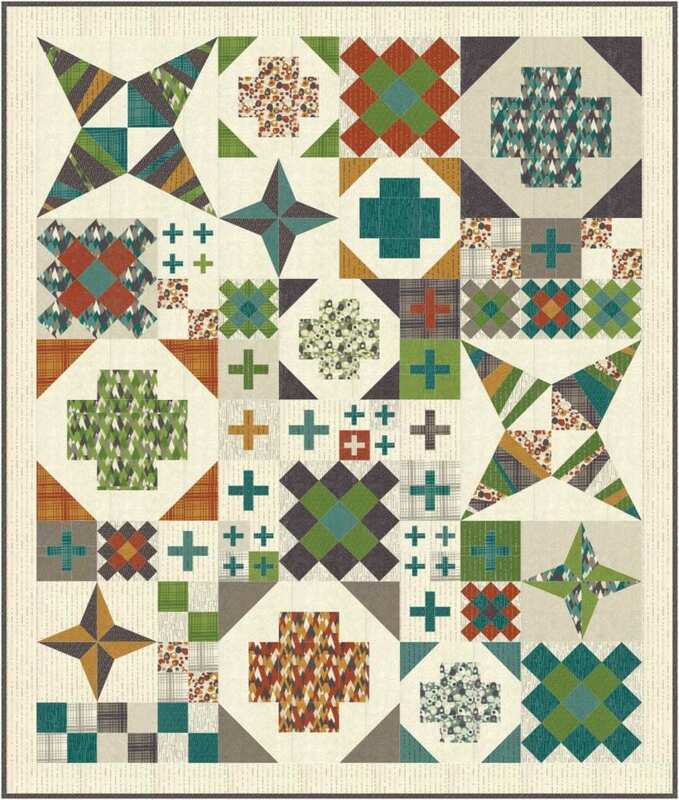 The quilt above is shown in my new Adventures line, you can order the yardage with your Moda rep now and have a fun block of the month program to begin when the fabric ships in November. To make this super easy for you the shop owner, I have created the printables needed to run your BOM. 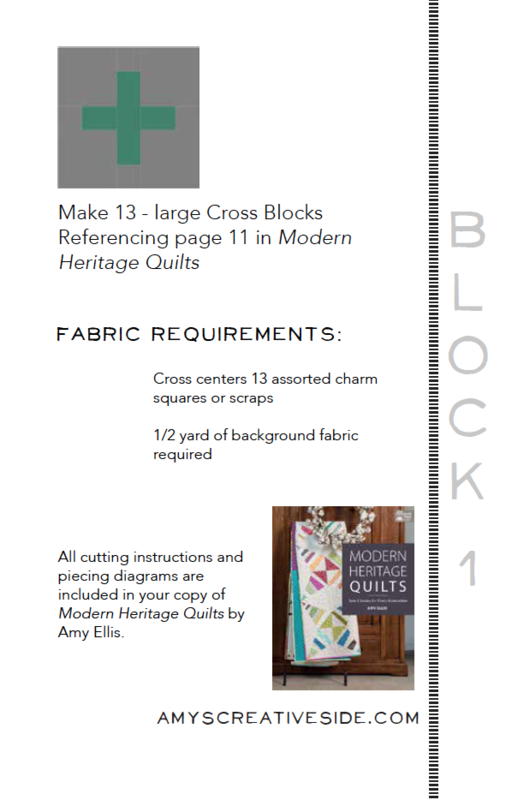 Since all the cutting and block construction directions are in the book you can print and distribute the worksheets each month, you can kit it with fabrics that aren’t moving, or let your shopper select month to month. 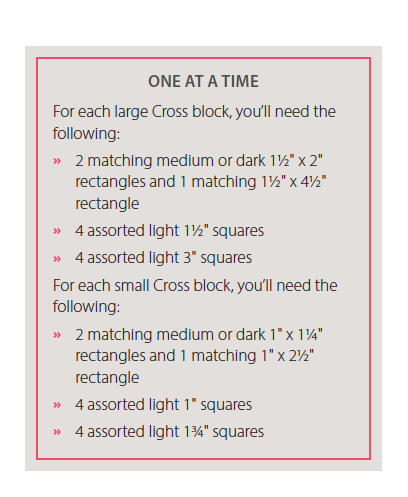 There are nine months of blocks, and an additional page devoted to layout and borders. I didn’t include any dates, so this project can be started now, or in two years depending on how far out you are scheduled in your shop. The patterns are very clean and easy to understand and there are lots of teachable moments in each block too! 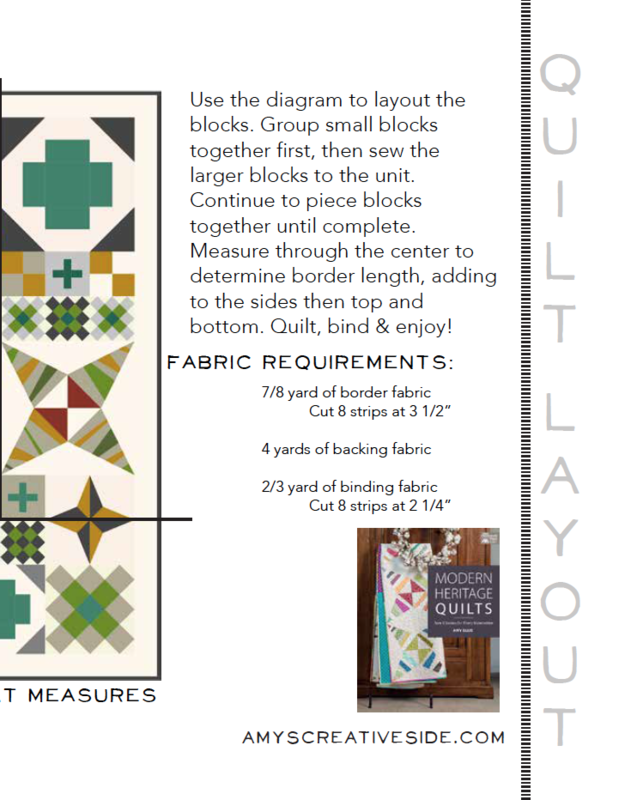 Use this project to encourage your new quilters to expand their expertise and gain confidence in some of the more intricate blocks. 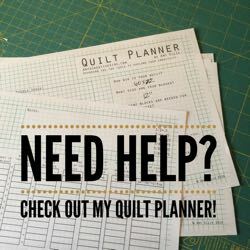 Offer specials on the Add-a-quarter ruler when paper piecing, or highlight your favorite pins or small ruler with 1/8″ markings, to make cutting simple. Get your FREE BOM Guide! Fill out the form, and the file will be in your inbox shortly!